As young people are organizing at schools and hitting the streets to protest rising tuition fees, what are young workers doing in their fight against the 1%? The unfortunate truth is: not enough. Young workers are among the most exploited in the country. We are offered very little hope – other than the ‘promise’ that if we work hard, we might be lucky enough to get a better deal. Now is the time for young workers to lead the charge in building unions and showing the corporate bosses that we will no longer be pushed around. That’s what I’m doing, and I invite you to join the effort. The fun does not stop there. In additional to facing the usual turmoil at work, such as high levels of stress, caused by rude customers or being constantly watched by management, young workers quickly come to the dark realization that we do not get paid an even remotely liveable wage. 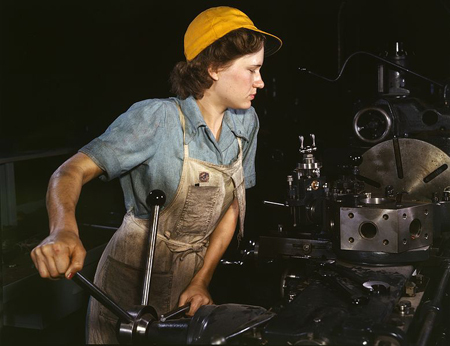 Employees are expected to work two or three jobs in order to afford basic necessities such as rent, food, hydro, etc. Additionally, it is important to note that if young workers need to work two or three jobs it is safe to assume that post-secondary education will be postponed or just tossed out the window. Now is the time for young workers to unite and demand a bigger fair share of the profits our work creates. For if it was not for those of us who are the work force, not a single product or service would be made, put on the shelf, or sold. We are the backbone of production, but we need to unite to become the brain of production as well. Young workers need to find the courage to overcome the fear tactics thrown at us, and advance change that will improve our desperate situation. We should fight to increase our wages and no longer allow our age to be used as an excuse to pay us less. We should get a decent amount of work hours, instead of the scraps management doesn’t want to assign itself. We must revolutionize our workplace to reflect the goals that we, as a vital part of the working class advance. That’s what the Youth for Socialist Action stands for. We are union organizers, fighters against every kind of discrimination, and revolutionary movement builders. Find out how you can be part of this exciting work. Join the YSA! Union Merger and Innovative Organizing: Is it the way Forward? Two major unions in Canada, now in merger talks, want to include workers who lack collective bargaining rights. Is it a step forward, a way to reverse decades of decline, or just a cynical move to make bureaucrats look good? The 195,000 member Canadian Auto Workers union and the 120,000-strong Communications, Energy and Paperworkers union, both of which have lost thousands of members since the 2008 economic crash, are exploring ways to include temporary workers, contract workers and the unemployed in their ranks. This is the return of a good, old idea. In the 19th Century, when modern unions began, they first offered tangible benefits like burial insurance and summer camp for kids. They sought also to engage the widest layers of the working class in mass action for progressive social and political change. That led to union-based political parties like the CCF and the NDP in English Canada. But it morphed into an arbitrary division between economic (union) action, and political (party) action, along with the abandonment of non-unionists by a largely co-opted and conservative labour bureaucracy. That CAW and CEP leaders now express a desire to incorporate unemployed, laid-off, part-time, and young workers may be a sign that they want to overcome the prevalent image of unions as distant or privilege, and that they see Labour as a social movement. But how does that square with concessions bargaining and with backing for Liberal politicians by these same unions, among others? And what rights will non-bargaining unit members enjoy for the modest dues they will pay in the merged union? Will they be an active, democratic influence on the direction of the organization, or just campaign cannon fodder? First it was postal workers. Then Air Canada workers. Now 4,800 workers are the victims of aggressive concession demands, backed up by federal back to work legislation. The question is: What are the Canadian Labour Congress and its major affiliates doing to resist the gutting of workers’ rights? Conductors, locomotive engineers and rail traffic controllers represented by Teamsters Canada Rail Conference walked off the job on May 23, shutting down CP’s entire freight service from Vancouver to Montreal. Management laid off another 2,000 employees, with a further 1,400 affected. The strike impacted many economic sectors, including coal, fertilizer, grain and auto. 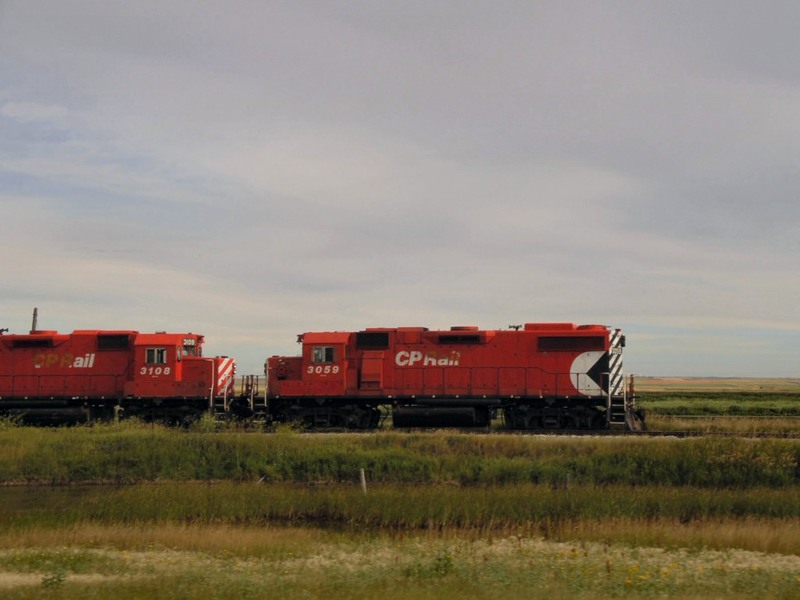 CP operates 24,000 kilometres of tracks across Canada, and into parts of the U.S. Mid-west. Doug Finnson, vice-president of Teamsters Canada, told the media that CP bargained in bad faith, hiding behind the federal government to roll back workers’ pensions and to ignore serious health and safety concerns. CP boss Ed Greenberg demands the same concessions CP squeezed out of workers at other railways. Conservative Labour Minister Lisa Raitt proved eager to help the bosses, introducing legislation on May 28 to end the work stoppage. The dispute now goes to an arbitrator, who is likely to impose a settlement right down the middle… of the company demands. NDP federal labour critic Alexandre Boulerice said the most the NDP Official Opposition could do is delay passage of the strike busting bill. The truth is, much more could and should be done – including mass sympathy strikes – before free collective bargaining, not to mention decent pensions, employment insurance benefits and many other past gains, disappear entirely. Will 2012 be year for Labour fightback? The big business Conference Board of Canada predicts that 2012 will be a year of major labour-management strife across the Canadian state. In 2011, Canada Post workers staged rotating strikes, got locked out by management, and were ordered back to work by the federal government, which imposed a wage rate lower than management’s last offer. The threat of legislation kept Air Canada workers from striking, despite workers voting twice to reject management’s position. According to McMasterUniversity labour relations Professor Charlotte Yates, governments aren’t just trying to keep deficits in check; they are cutting for political reasons. Unions, per se, are the target. They believe they can succeed at this time knowing that the bosses are permitted to cut jobs without any real challenge from the working class, including its unionized sections. 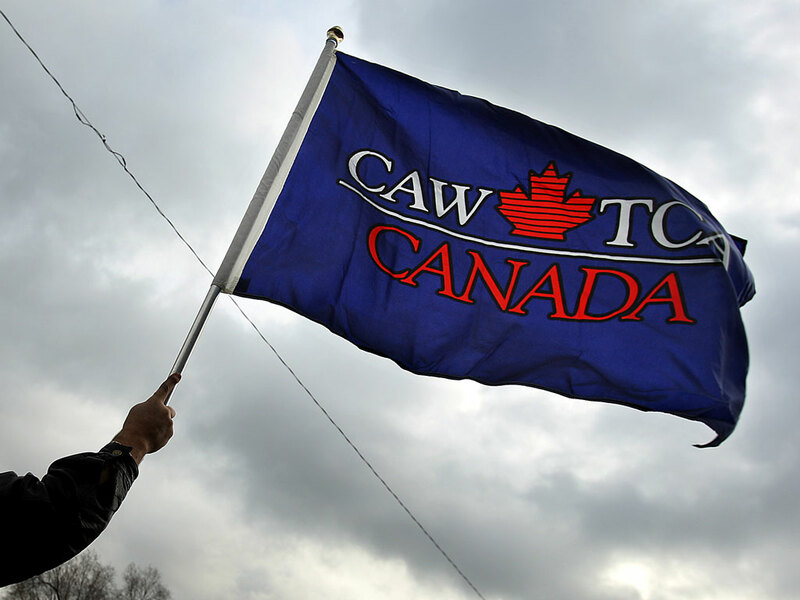 When postal workers challenged the Stephen Harper Conservative government agenda, the labour movement across the country failed to back them up with job action. The NDP filibuster in the House of Commons made many workers feel good, but it did not threaten to deter the government’s course of action. The Conference Board is now worried that the potential for strikes in the public sector will be greater in 2012 because those workers gave concessions at the outset of the recession/depression in 2008. Rank-and-file frustration is rising. The average public sector raise will be 1.5 per cent in 2012—below the predicted inflation rate of 2 per cent. In contrast, private sector workers will earn an average raise of 2.3 per cent. Overall, workers’ wages have been falling or stagnant for over 30 years. Health care workers in British Columbia, Saskatchewan, and Manitoba will be negotiating new collective agreements in 2012, as will employees at the Canada Revenue Agency. By alerting its well-heeled members to potential labour conflict, and by countering the arguments that unions make (for example, that government revenues are down due to corporate tax cuts and concessions to the rich), the Conference Board is helping to get the Canadian capitalist class ready for the big fight ahead. But what is the labour leadership doing to get workers ready for this fight? The Ontario Federation of Labour, at its November biennial convention in Toronto, promised to expose the one-sided class war being waged by bosses and their governments. But OFL leaders have no plan to challenge the rulers’ agenda with mass action in the streets and work places. There is talk about a possible merger of the Canadian Auto Workers Union and the Communications, Energy and Paperworkers’ Union. A democratically conducted merger would be good. Much better than a raid, which too often is the resort of shrinking unions. But a merger is no substitute for organizing the unorganized, much less for an anti-concessions strategy. Can workers fight back? Transit workers in York Region, north of Toronto, show that we can. Those employees of private bus companies that pay $7 an hour less than what Toronto transit workers earn, are in the third month of a strike for a wage and benefits catch-up. Their weekly mass pickets and bus occupations are attracting tremendous attention and inspiring considerable hope in broad sections of the working class. They show the way forward—to a coordinated labour struggle against the bosses’ “austerity” agenda. If 2012 is to be the year for a labour fight back, now is the time to start talking up the idea of a general strike. Nothing less than escalating, mass job actions are needed to stop the attacks on jobs, public services, and workers’ rights. And that’s what we need to win nationalization of the banks and big business under workers’ democratic control—to lay the basis for an economy that serves the majority.> The article above was written by Barry Weisleder. Montreal MP Thomas Mulcair, a former Quebec Liberal cabinet minister who takes pride in his role in early ‘free trade’ negotiations, brings a decidedly pro-capitalist, anti-Quebec self-determination perspective to the New Democratic Party leadership race. 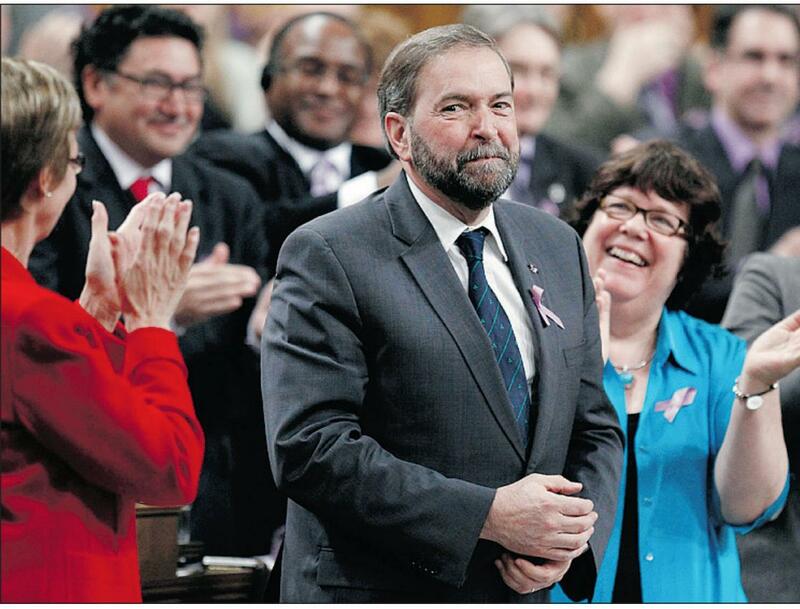 When Mulcair announced his candidacy, he had the backing of 15 MPs, soon likely 30, but few supporters outside of the ranks of strongly pro-federalist Quebecers. Ottawa MP Paul Dewar promises that as NDP leader he would give city governments more say – even a seat at federal-provincial ministers’ meetings. Dewar, until recently the NDP foreign affairs critic in Parliament, defended the bombing of Libya by Canadian Forces. He supports the Canada-U.N. occupation of Haiti, opposed the Canadian Boat to Gaza, and rejects boycott, sanctions and divestment aimed at the Zionist apartheid state. Northern Quebec MP Romeo Saganash, a Cree lawyer and regional leader, has yet to detail his policy positions since joining the leadership race in September. Nova Scotia MP Robert Chisholm will soon toss his hat into the ring. Fellow Nova Scotian Martin Singh, a pharmacist and businessman, extols the virtues of entrepreneurship. On October 28, Toronto MP and former Canadian Auto Workers Union negotiator Peggy Nash declared her candidacy. Her platform, in the words of Toronto Star columnist Thomas Walkom, “is straight-up NDP orthodoxy”; “address social inequality… and boost corporate taxes to pay for it.” The only positive point of differentiation is Nash’s praise for the Occupy movement. That brings us to the never-elected-to-public-office Brian Topp — touted as the front-runner. He enjoys the backing of the Steelworkers’ Union and party icons Ed Broadbent and Roy Romanow. Lately, Topp called for higher taxes on corporate profits and big income earners. But Topp is a very unlikely candidate of the left. He rescued the party establishment from ann embarrassing defeat at the federal NDP convention in Vancouver in June when he moved to refer back to the executive its proposal to delete the word “socialist” from the party constitution preamble. Post-convention, the preamble disappeared from the federal party web site – a devious move typical of the backroom politics associated with Topp and company. Sadly, leftist B.C. MPs Libby Davies and Peter Julian opted out of the race. Bizarrely, Davies later endorsed Topp, the man who as federal campaign director presided over the party’s steady shift to the right. The dearth of meaningful choices for NDP Leader poses a serious challenge to the NDP and to the anti-capitalist left: either raise the tens of thousands of dollars needed to run a socialist candidate for Leader, or find other ways to fight for a Workers’ Agenda in the only mass, labour-based political party in North America. The global “Occupy”movement, and a whole generation of concerned environmentalists, plus millions of victims of war and capitalist economic crisis cry out for a socialist alternative. It must be generated inside the mainstream of the workers’ movement, where it matters most.